It’s the New Year, and one thing many of us want to do is eat more whole foods. What has been really helpful to me lately is to take it meal by meal, snack by snack, and intentionally choosing to rotate through the food groups throughout the day so that I make sure I’m at least getting in a portion of each every day. Most of us would love to get in the recommended 5-9 cups of fruits and veggies a day, as well as the proteins, dairy and healthy whole grains. Our bodies need the nourishment to keep up with mommyhood demands, and plus when we are eating healthy, so is the rest of our family! So! How can we do it in our busy lifestyle? 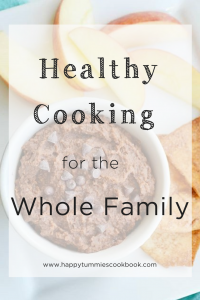 My favorite tip for eating more healthy foods is to cook one healthy meal or snack for the whole family. 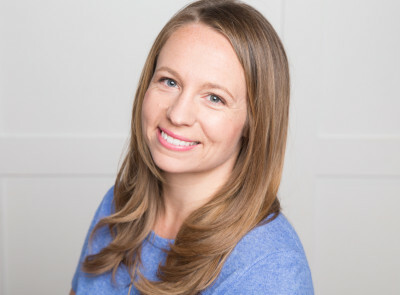 Just last week I had the opportunity of speaking at the Salt Lake Home Show, and I shared how to make a few of my favorite quick and easy whole food recipes that are absolute, fan-favorites in my home. These are recipes I make in my house time and time again, and my family requests them! Plus, if you’ve got a baby in the house, they can all be easily adapted so that baby gets some healthy homemade food too. All of these recipes have fruit, veggie or protein as the number one ingredient which is great if you’re like me and trying to get in all your food groups in the day. This is the perfect fix for any of you mamas rushing out the door in the morning who don’t have a lot of time to make a hearty meal. 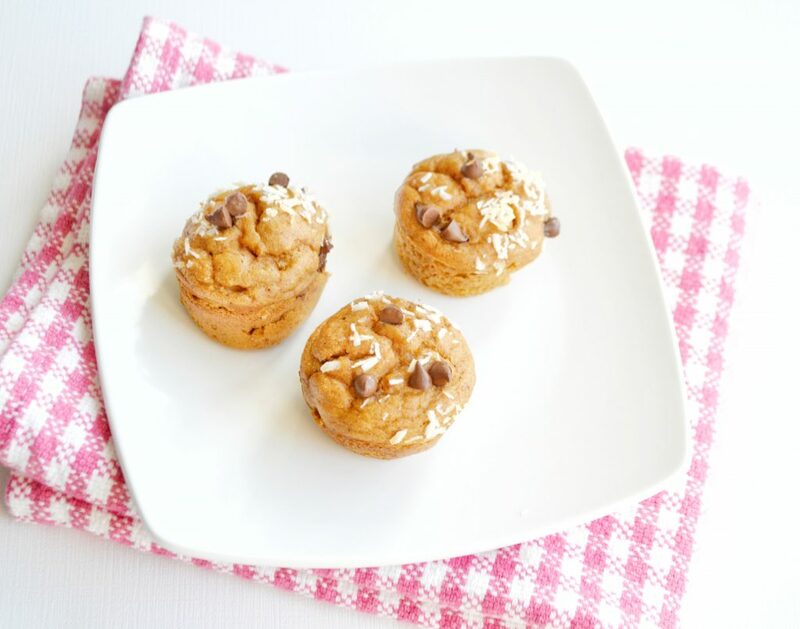 These 10 minute blender muffins are loaded with delicious fruits and veggies, which is a great way to start the day. Sweet potatoes rich in beta-carotene promotes healthy skin, eyes and the immune system. Bananas considered the “powerhouse” for nutrients and are high in fiber too, which is good for the heart, giving you a power boost right at the start of your day! Poke the potato with a fork about 8-10 times, then wrap the sweet potato in a clean kitchen cloth. Microwave the sweet potato until tender (about 5-8 minutes), then remove the peel. 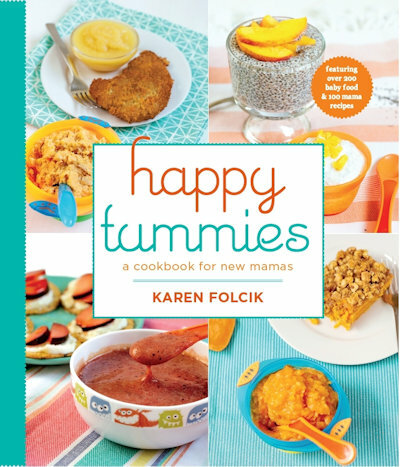 If you’re feeding a baby 6-12 months, scoop out a few tablespoons of sweet potato. Mash with a little water until it’s the right consistency, and set aside. Place all of the remaining ingredients (except the baking powder) in a blender or large food processor. Blend on high until smooth. Add baking powder and pulse to combine. Scoop into muffin tins, then add toppings if desired. Bake for about 12 minutes, or until a toothpick comes out clean. 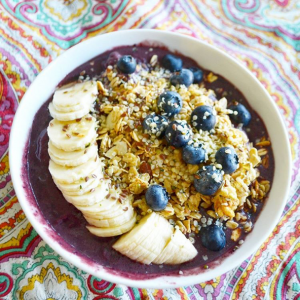 Hubby and I have finally given in to all the rave over smoothie bowls and we eat them several times a week now! I love how versatile they are, and how you can use nearly any frozen fruit that you have at home. You can have them for breakfast or even a snack when you’re on-the-go and need something that’ll hold you over until the next meal. They contain a lot of whole foods and can be a good source of fiber, protein, healthy fats and carbs. Add in a handful of spinach if you want some extra oomph! Blend the frozen blueberries, banana and milk in a blender on low until it is fully incorporated and thick. Pour in a bowl and add toppings. I like to keep it simple, adding whatever fruits I happen to have on hand. If you are feeding a baby under 12 months, mash up some fresh banana or whatever fresh fruit you are adding to the top. If you are serving a toddler who isn’t interested in having a smoothie in a bowl, simply take out your smoothie bowl portion, and add more milk to the blender. Whirl until combined and serve in a cup! 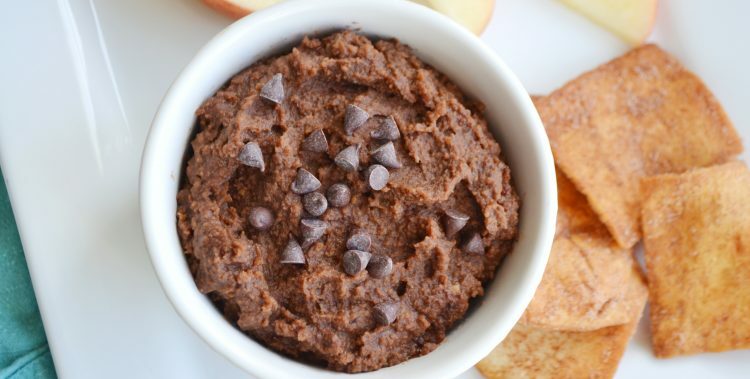 I know, I know…chocolate hummus? All I can say is, don’t knock it before you try it! It’s definitely become a household favorite in a short period of time and the top requested movie night snack. 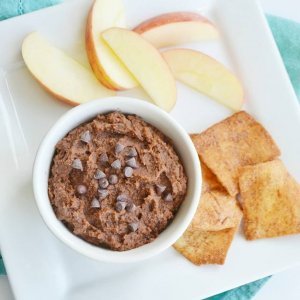 We treat it like a fruit dip and serve it with fresh fruit or cinnamon and sugar pita chips. Add all of the ingredients to a food processor, and whirl for 3-5 minutes or until creamy. Or if you have a baby 6 months+, add just the beans and water and puree until smooth. Scoop out a little for baby, then add the rest of the ingredients in and whirl some more until fully incorporated to make hummus. Serve with apple slices, chopped pineapple, pretzels or pita chips.